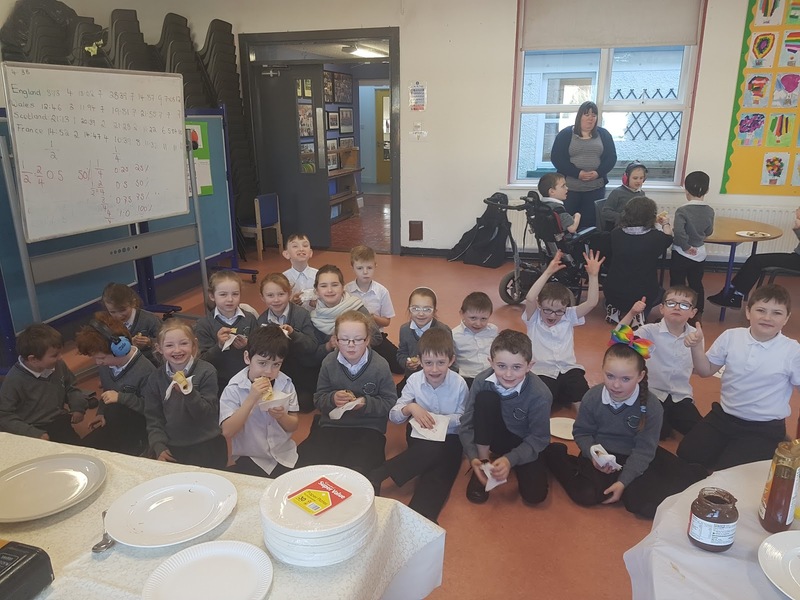 We were very happy to have pancakes at school today.We thank Mrs Sweeney, Mrs McCafferty, Michelle, Susan and Erica for cooking and preparing them for us. 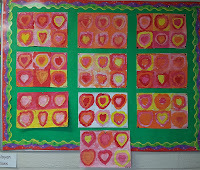 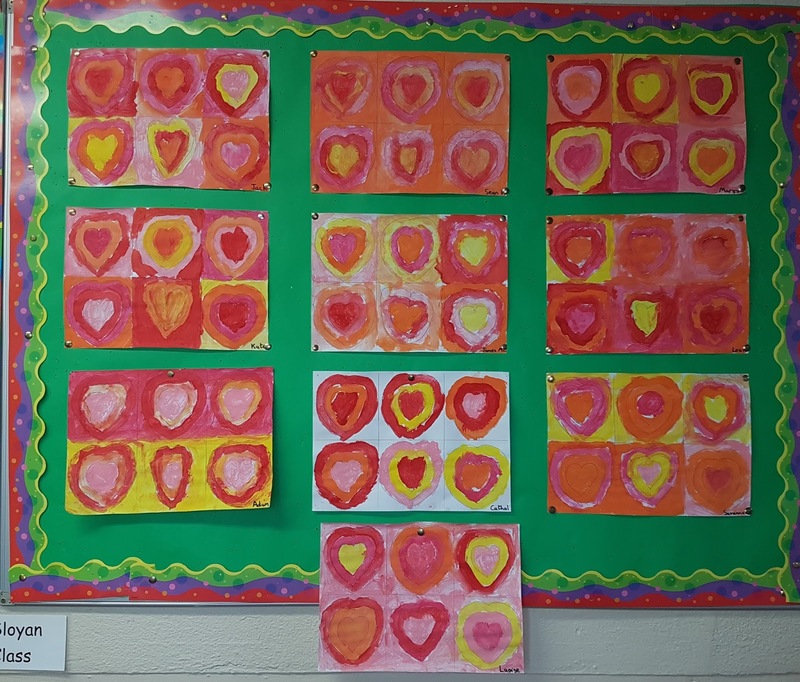 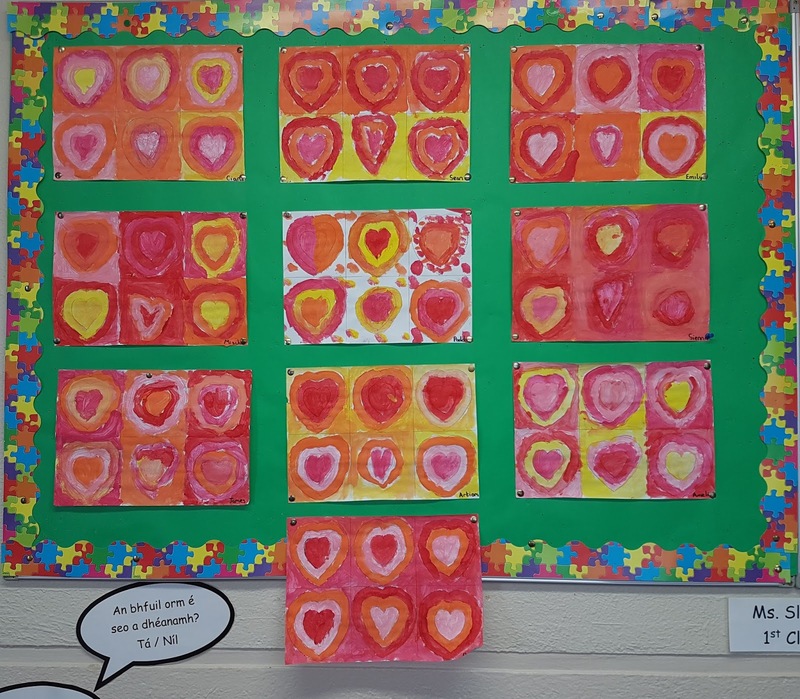 For our Valentine's Art, we looked at the famous artist Kandinsky and used his 'concentric' style to draw hearts. 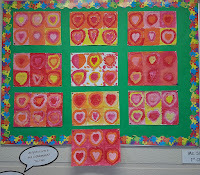 We painted using warm colours.